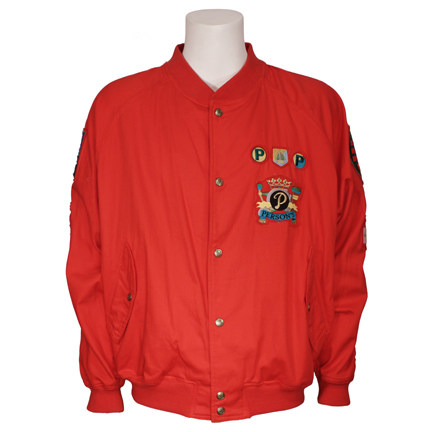 This jacket was one that was made for Michael Jackson and has protoype patches attached. 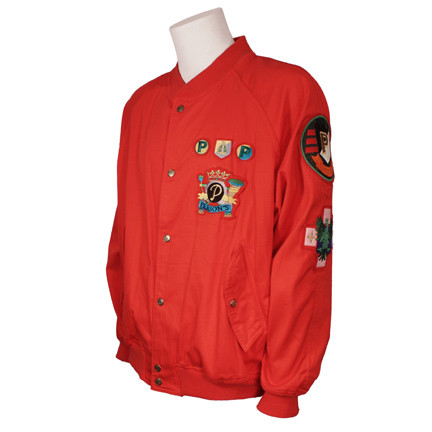 It is similar to the red jacket worn by Michael while recording the "Can't Stop Loving You" single as seen in the image here of the back of the single record sleeve. 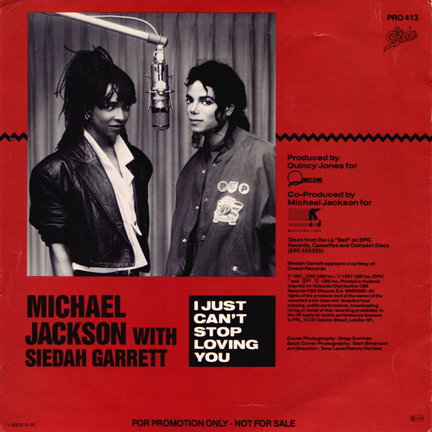 “I Just Can’t Stop Loving You” was written and composed by Jackson and was the lead single off of his 1987 “Bad” album. 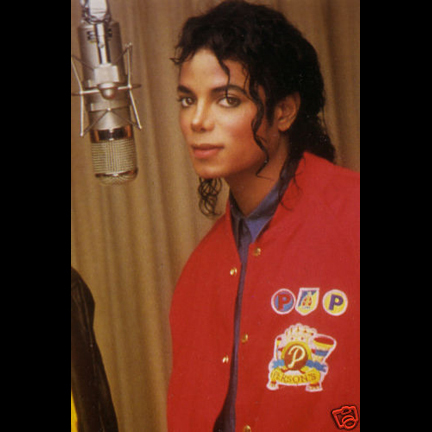 The song was the highest debuting single of that year, and the first of five consecutive #1 Billboard Hot 100 singles from the same record. 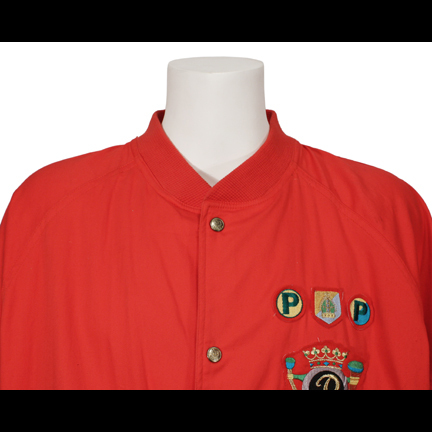 The bright red snap-front windbreaker style jacket is made of a cotton fabric, with matching ribbed knit at the collar, cuffs and bottom hem, and front pockets with snapped flaps. 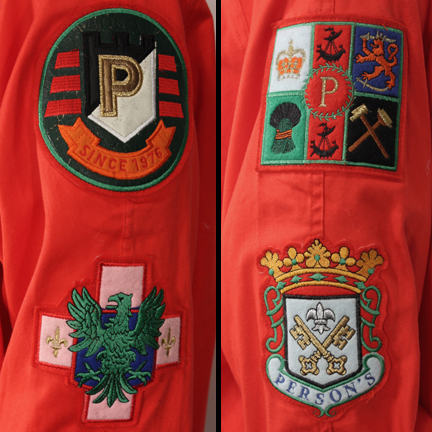 Multiple embroidered heraldic logo patches are sewn to the left breast, both arms and center back. 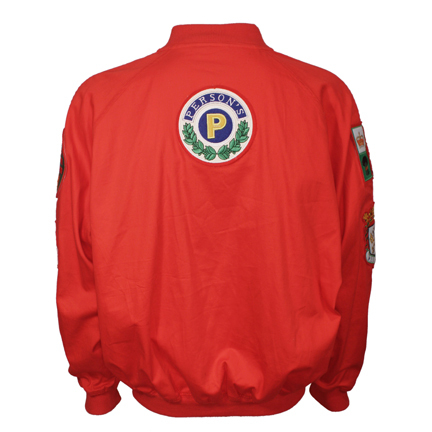 This piece will make an impressive addition to any collection of high profile music memorabilia. 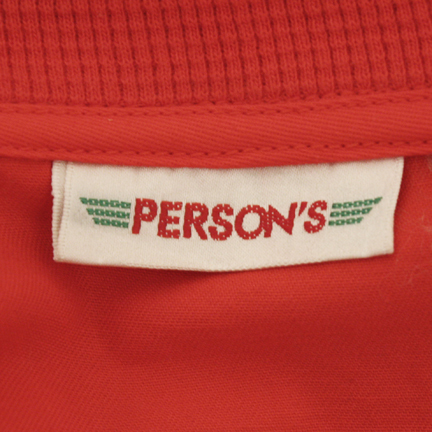 Garment photos and descriptions are the sole property of The Golden Closet.